QR Codes have been around since 1994, originally used for tracking parts in the automotive industry, Quick Response Codes were slow to make their way into the consumer market. It wasn't until the widespread use of smart phones that the codes began showing up in public. Smart phone users in Japan and Korea have been making use of the two-dimensional codes for some time, and were quick to gain popularity overseas. The codes acceptance here in the United States has been slow at best. Most U.S. smart phone users don't recognize the codes when they see them much less know that their phones have the ability to scan them. Even tech savvy users that I speak with still do not understand how the code works. Some believe that the codes will take over control of their phones or upload a malicious virus. The truth is that they are just bar codes! Not much different then the ones that you see on everyday items in the grocery store. The main difference is what your smart phone can do with them. 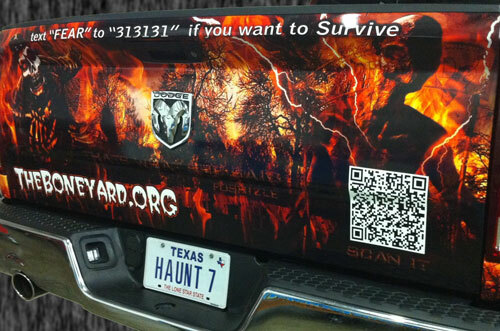 So how do we use QR Codes at the Boneyard Haunted House? Or a better question would be, why? We first started using Quick Response Codes for promotional tracking in 2009, a very basic code that directed users to our website www.theBoneyard.org. Our plan was to place the code on print advertisement and business cards. Almost immediately we met with resistance, printers had not seen them before, they could not guaranty the codes would scan in their ads. Bottom line - people fear the unknown. On top of that very few smart phone users at the time were familiar with the codes and were reluctant to download the needed app. 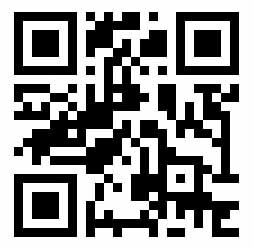 Starting in 2010 we upgraded our web server to better interact with scanned QR Codes to deliver specific content for a given code. QR Code Discounts, QR Code Coupons and deliver Haunted House tickets via our QR Code Generator. We have even hidden a few QR codes through out the Haunted House. So scan them if you dare.